The second half of December is almost always the worst time for work. Productivity is at its lowest, and you can’t really blame workers if their concentration is just not there. However, as we face the last day of 2012, you might be thinking ahead already. Maybe you want to make sure that you get off to a great start in 2013. 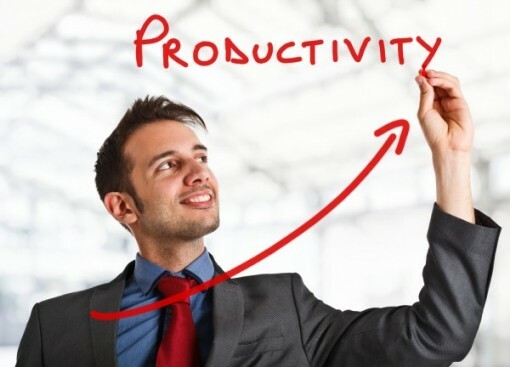 If you want to make sure that your productivity goes nowhere but up in 2013, here’s a list of productivity tools that will help you go in the right direction. I believe that having multiple devices is a great way to increase your productivity. However, without the right productivity tools, having to deal with the same data using different devices can actually be detrimental. That’s where syncing critical files is handy. There are many online backup/storage services that can be used for this, but I think we can all agree that Dropbox is number one in this regard. Whether you use a PC, a Mac, an Android device, or an iOS device, Dropbox will do the job. We all know about Google Calendar. You might even have used it sporadically this year. But have you really integrated it into your workflow? If not, I strongly recommend that you do. Use it to plan not only your meetings and appointments, but also your tasks for the day. It really does help keep you on track and adds to your sense of purpose throughout the day. Additionally, it has tools such as Tasks and World Clock which can help you organize your day even better. Google Docs – or Google Drive now – is everything you need, really. It serves as an online file storage space, but its beauty is in using documents to collaborate with other people. It has been widely used in many companies, and even if you’re a freelance worker, you can benefit a lot from Google Docs. No man is an island, and the chances are that you work with other people in a team. You may even have several different teams working on separate projects. The best thing to go about this situation is to use a project management software where communication is centralized. This streamlines the processes and makes communication more open and less confusing. There are several really good project management platforms, but I chose to include Teamlab for this list of productivity tools because it is simple, easy to use, has many features, and FREE. Motivated people will work on increasing their productivity with or without supervision. We cannot overlook the need for monitoring in many cases, though; and if you are in a situation where keeping an eye on employees and/or contractors might be necessary, then you will appreciate My Team Monitor. This is a new platform which helps leaders/managers monitor performance from anywhere. They are still in the beta stage, so I suggest getting in as early as you can. Click here to try it while it’s free. To end, starting right is all well and good, but it will not mean a thing if you don’t follow through. Have fun with these tools, and a prosperous New Year to everyone!